With over 160 years experience as one of the global leaders in the fields of optics and opto-electronics, Carl Zeiss ensure the ultimate precision in all its products. Solutions from Zeiss are used worldwide in diverse applications including astronomy, aeronautics, radiotherapy treatment, cinematics and microchips. Wherever high precision is a must, measuring systems and software solutions from Zeiss contribute to ensure maximum standards of quality. Airplanes become safer, cars faster, and wind turbines more efficient. every lens as a guarantee of quality. 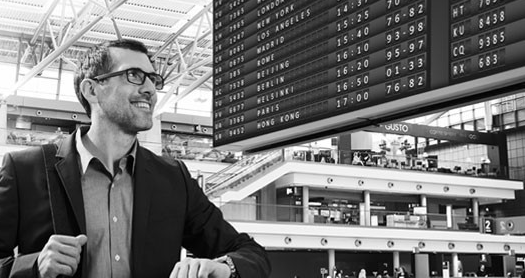 Zeiss Progressive Individual 2 represents the highest level of technical quality for varifocal wearers. With the individualised lenses, varifocal wearers achieve the widest uncompromised visual zones, edge-to-edge from near to far. As a consequence, vision at all distances is natural and comfortable. This lens design is custom-made for the individual by using facial parameters to take additional specialised measurements. As well as providing the ultimate visual performance, the Individualised lens is available in the thinnest and most light materials to provide optimum cosmetic appearance. For single vision spectacle wearers, we recommend their Single Vision Superb range. Freeform technology minimises peripheral distortion allowing clear, sharp vision over the entire lens. This provides all round, top quality optics with minimal optical aberrations. The Zeiss Superb lens is available in a wide power range to suit most prescriptions and is particularly well suited to people with moderate to high astigmatism. Zeiss Vision Care has developed premium coatings to harmonise with their optical excellence in prescription lenses. Zeiss DuraVision Platinum is the top tier anti-reflection coating that reduces unsightly and distracting reflections that naturally occur on the front and back surface of spectacle lenses. Most modern lenses include an anti-reflective coating but the quality of the coating makes a real difference. Duravision Platinum is composed of 9 ultra-thin layers resulting in an ultra-hard lens surface with a super-slick clean coat for easy cleaning. The multi-layer system provides first rate anti-reflective properties and includes a patented anti-static layer for improved dirt resistance. By eliminating distracting reflections Duravision Platinum provides an aesthetically pleasing appearance to your spectacle lenses. Thanks to the superior clarity, wearers experience clearer, more comfortable vision. 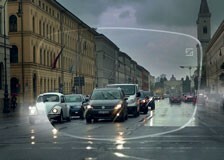 A recent introduction to the Zeiss Portfolio is the DuraVision DriveSafe lens designed specifically for those who struggle with glare when driving in low light conditions such as rain, dusk or at night. This lens partially reflects visually disturbing wavelengths from car headlights with Xenon or LED technology, reducing perceived glare. Whatever your needs, the Zeiss portfolio has a solution. Claudine Ickeringill Opticians, Chichester is proud to be a stockist of the prestigious Zeiss lens range. Let us find the perfect solution for you in their portfolio.